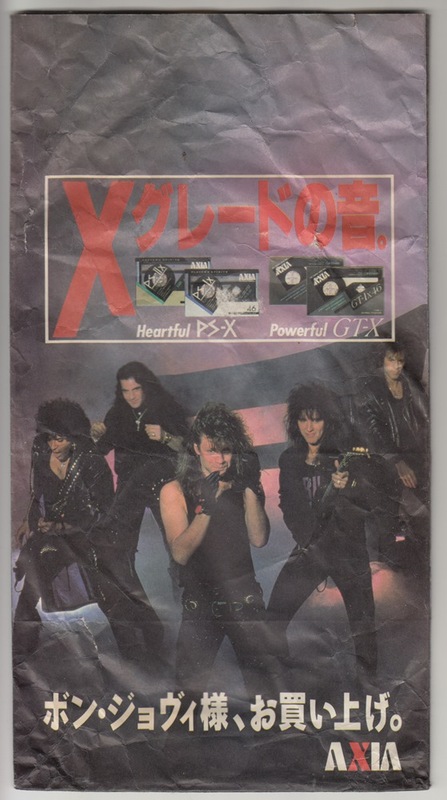 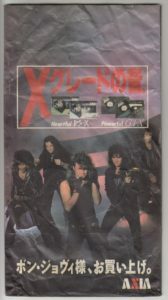 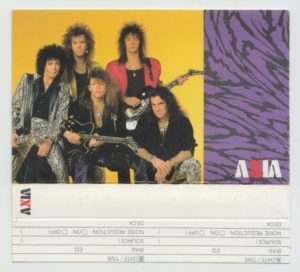 Cassette Label with tape sold in 1988. 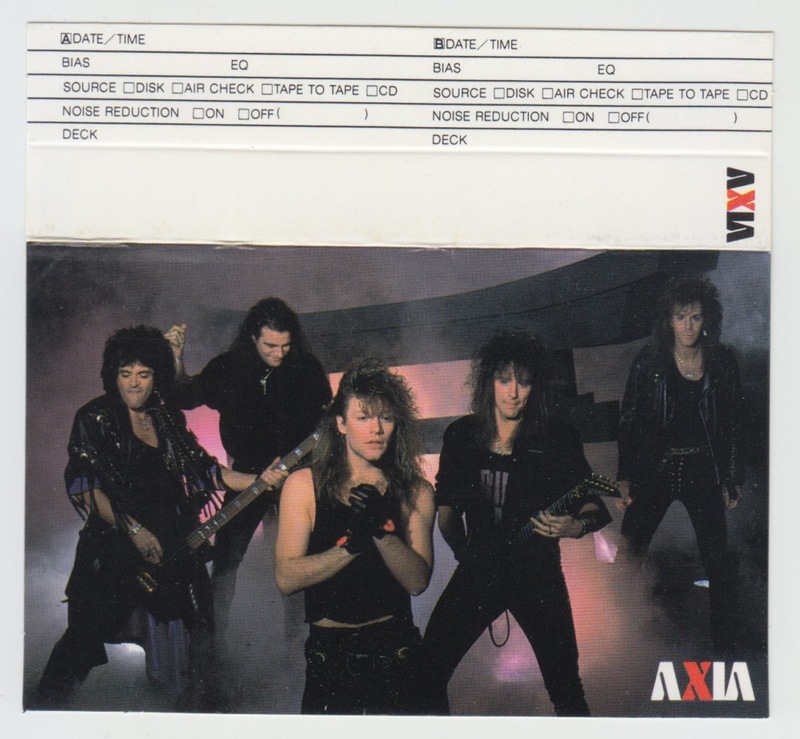 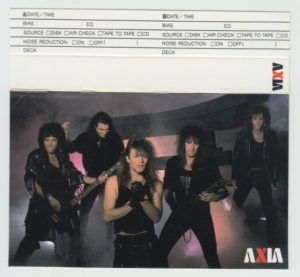 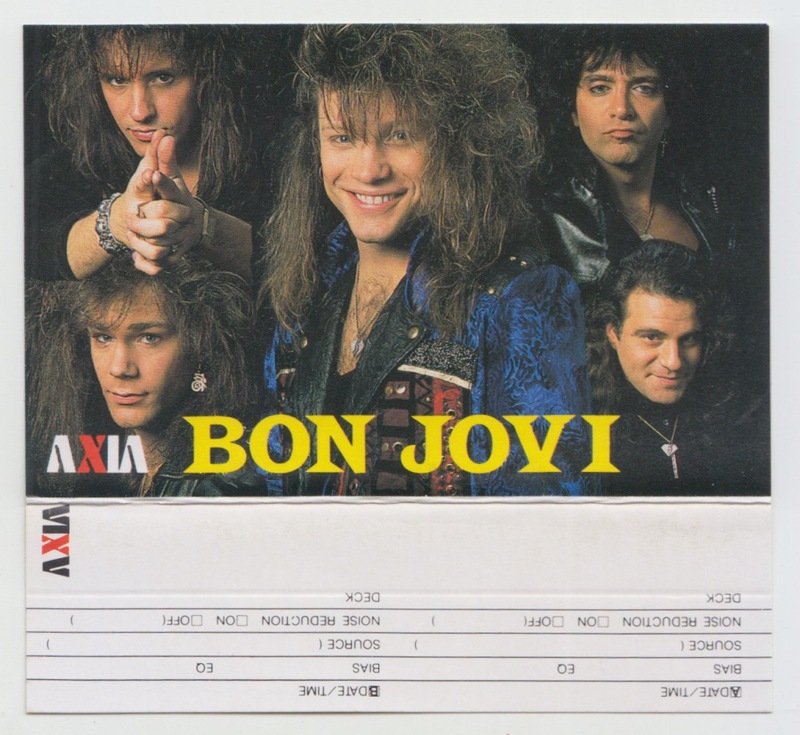 In 1988, BON JOVI appointed Sanyo’s television commercial. 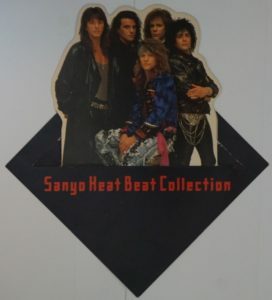 This is a shop front pop. 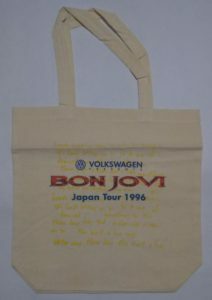 The height is about 25 cm. 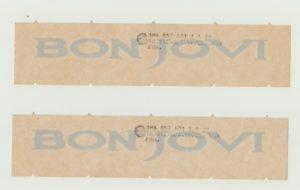 A paper bag used in a cassette tape dealer released in 1988. Catch copy “Bon Jovi bought it”. 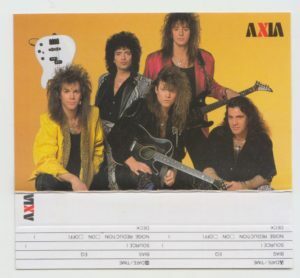 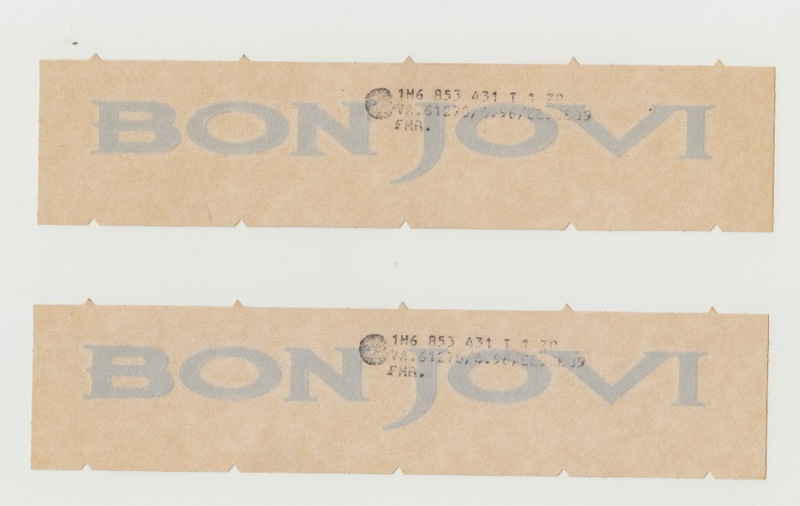 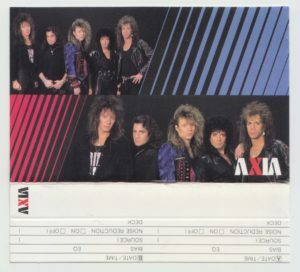 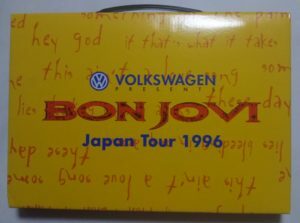 Sticker was produced by Volkswagen, which sponsored BON JOVI Japan tour 1996. 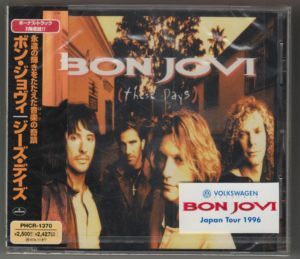 It was given to people who purchased BON JOVI cars. With an envelope. 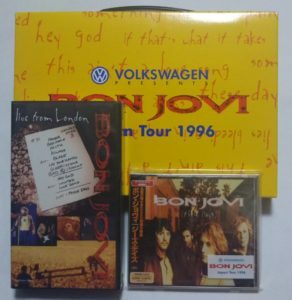 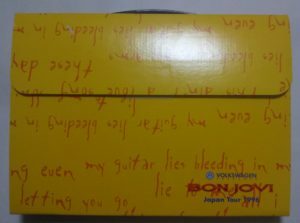 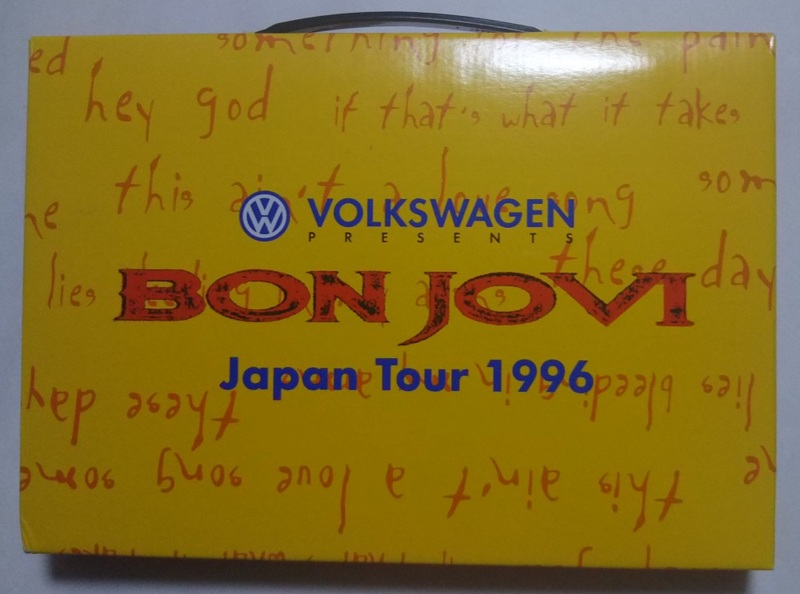 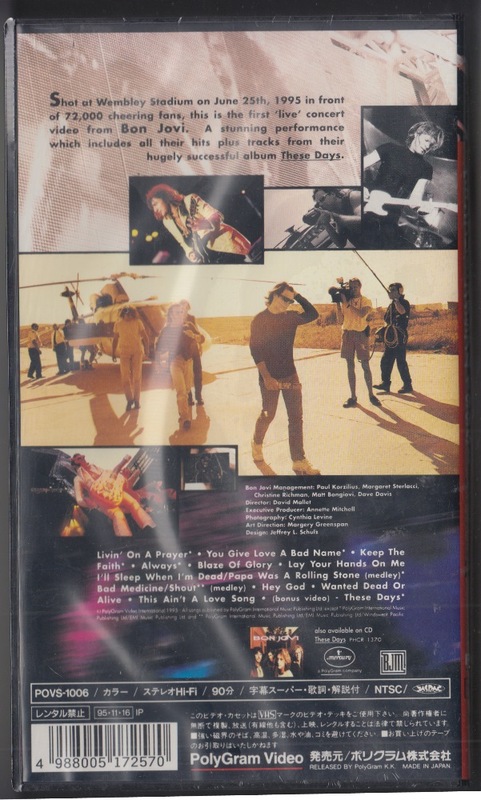 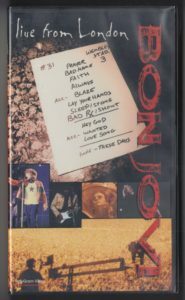 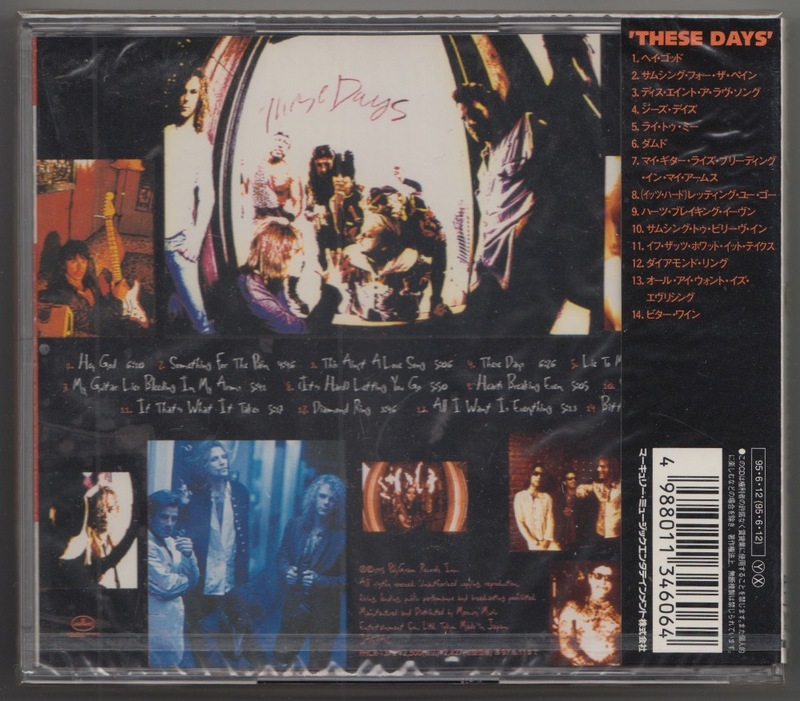 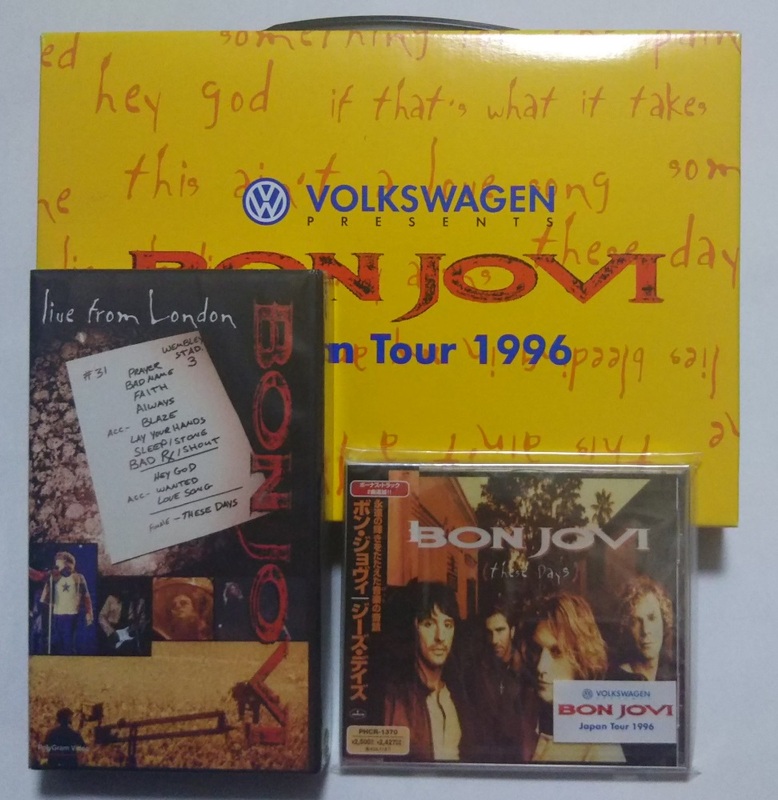 Special Box with THESE DAYS and LIVE FROM LONDON was produced by Volkswagen, which sponsored BON JOVI Japan tour 1996. Not for Sale. 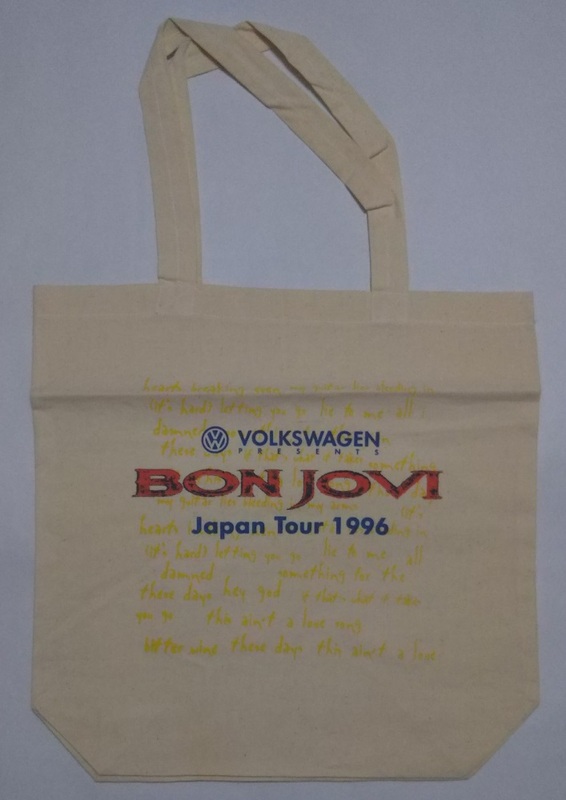 Tote Bag was produced by Volkswagen, which sponsored BON JOVI Japan tour 1996.